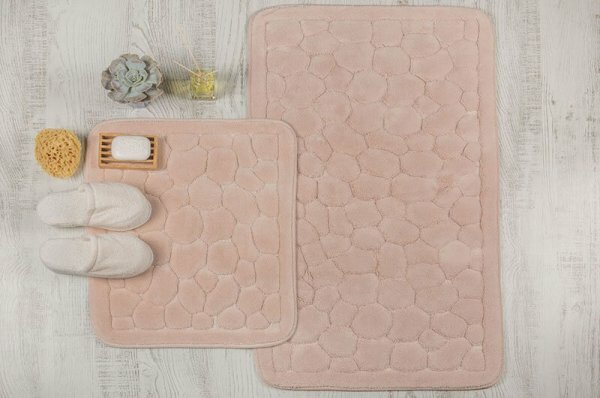 Tuana Bath Mat is made from absorbent Turkish cotton. They are super trendy and boohoo in spirit with their strips and the pompoms. It will give an instant eclectic feel to your bathroom or elsewhere in your home. Why not? Its pile free texture will heighten its cuteness. Being pile free means they are compact hence take less space in the cupboard and dry quick. 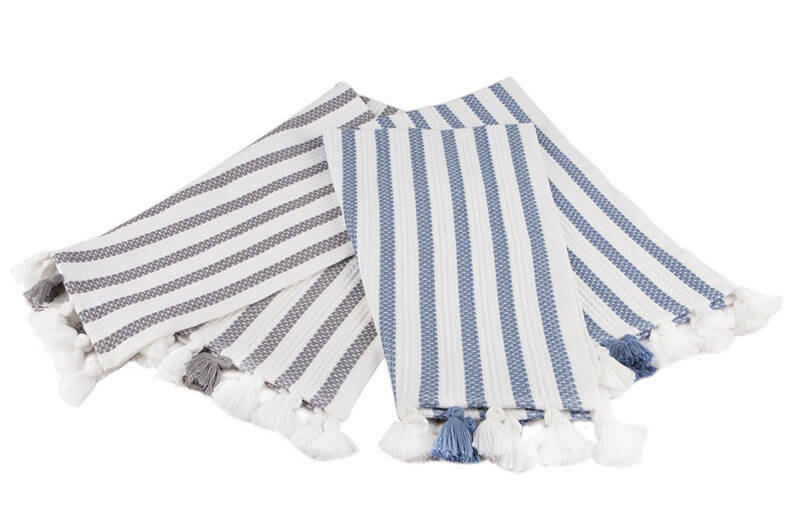 Washing and drying this peshtemal bath mat is totally hassle-free and saves you a lot of space inside the washing machine and inside the cupboards too. 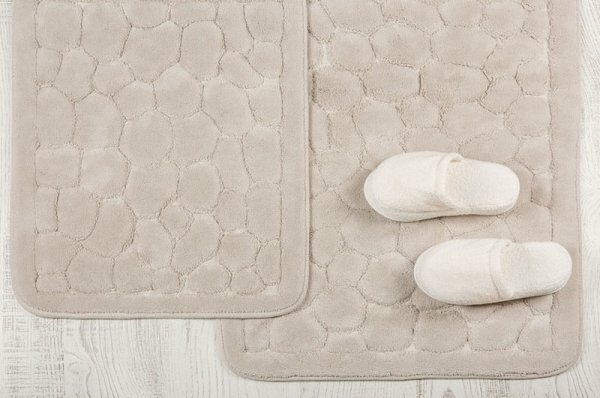 With its fantastic looks and utility chic-functionality, you can use it as a rug in any room to your liking. 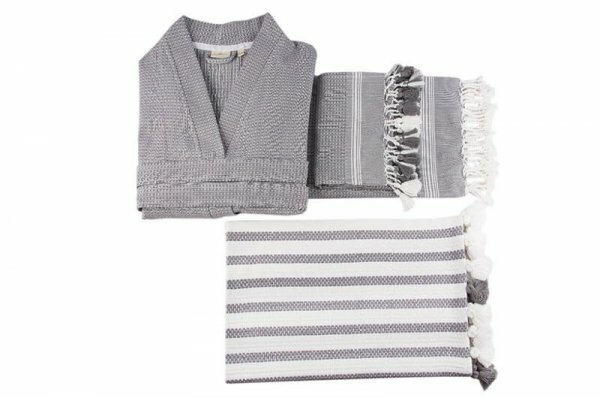 If you are renewing your bathroom or just want to revamp it A to Z, you may perhaps consider Tuanas as a set which includes bath sheet, hand towel and bathrobe apart from the bath mat. You will definitely enjoy their whimsical feel! They will make your bathroom an uber cool place with their trending looks. Our gorgeous Tuana bath mat features a blue/white; grey/white stripes with adorable tassels which give them a lovely feel and energize your space with their oozing charms. 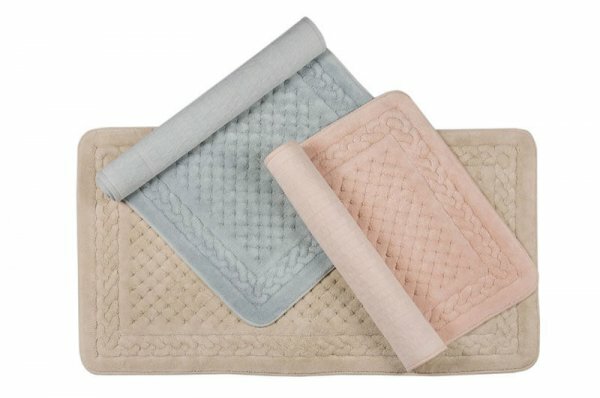 Tuana bath mats are part of Tuana bathrobe, bath sheet and hand towel set.